There are many reasons that homeowners consider selling their existing property and moving to a smaller one (also known as downsizing). It could be because their grown up children have left home, or because they are looking to reduce costs or simply cannot cope with the maintenance of their existing property and need something smaller and easier to look after. 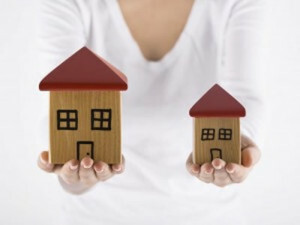 When you are downsizing, the particular reasons behind your move will influence your decisions about your new property. For this reason, careful thought should be given to what you want from your new, smaller property. Firstly, think about what type of property you want. If you are moving because you are looking for less maintenance and housework, then a new-build property might be a suitable alternative. These are generally easier to manage than an older property and should require little or no maintenance for many years. Think carefully about the size of property you need. Do you want to have a guest room or rooms? Adult children may still want to come and visit and if you have (or expect to have!) grandchildren, you may want to think about extra space for them to stay in when they visit. If you are downsizing to try and release some cash (or equity) from your larger home, do your sums very carefully before committing to any move. Many people forget about the many costs involved in moving, including solicitor’s fees and stamp duty, and you may end up with a lot less money than expected after the move. Finally, don’t underestimate the emotional impact involved in downsizing. Many find it liberating to move to a smaller, easier property, but others might find the selling of the ‘family’ home upsetting and may need some time to get used to the idea.